Shop our buying guide for the best lighted jewelers glasses magnifying, jewelers glasses with light, jewelers magnifying glasses with light, jewelry magnifying glasses with light, jewelers magnifier glass to work on jewelry, best jewelers magnifying glass with light and best magnifying glasses for jewelry making. 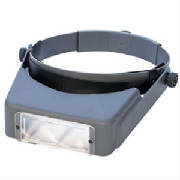 Complete your tasks without eye strain with our jewelers magnifiers. Jewelers magnifying glasses for jewelry making are available in 6 powers. Best magnifying glasses for jewelry making, jewelers magnifying glasses and jewelers eyeglasses for making jewelry. Please note that jewelers magnifier, magnifying glass jewelry, jewelers magnifying eyeglasses, jewelers magnifying lens and magnifying glasses for jewelry making are the same type of magnifiers. For best jewelers magnifying glasses results wear your glasses. Do I need a jewelers magnifying glasses with light? A jewelers magnifying glasses with light will provide better magnification results as they provide a sharper and clearer image then a non-lighted magnifier. Select jewelers glasses with a power that will allow you to perform your task at a comfortable distance. 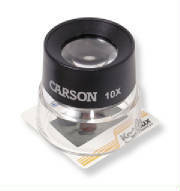 Three coated magnifier lens plates-1.75X, 2.25X, 2.75X. 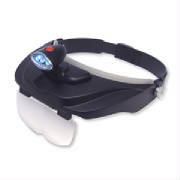 Jewelers Lighted Magnifying Glasses 4 Lenses. Coated Lens Plates-Our jewelers glasses lens plates are opthalmic quality and are hard coated for scratch, mar, and glare reduction. The lens coating also provides a brighter picture. The plates will fit our Sight-Booster jewelers magnifying glasses models and Optivisor® models. 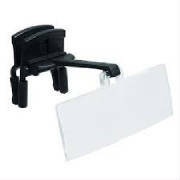 Jewelers glasses clip-on models will clip-on to most frames are light weight and flip up. 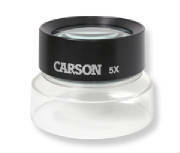 Precise optics makes the jewelers magnifying glasses excellent for jewelry making. 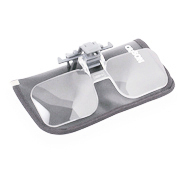 Flip-up clip-on jewelers eyeglasses (magnifiers that attach to glasses) that turns any pair of regular glasses into "flip-down" clip-on jewelers glasses. 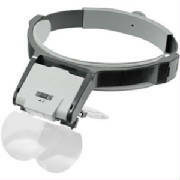 Convenient clip-on jewelers magnifier that attaches with ease to most eyeglass frames. 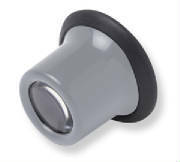 High power magnifiers such as 8x must be held steady or else they will be out of focus.